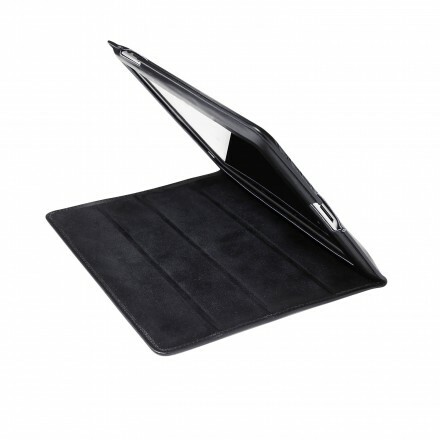 Hand made in smooth calf leather from one of the very best tanneries in Italy, this black iPad cover fits the iPad 2 and the new iPad3. It is part lined with a fabric to protect the Ipad screen from scratches. Measures 25.5 cm x 19.5 cms.